I finally caught up with doing some blog changes I'd been planning quite a long time now. I redesigned my sidebar buttons to match my header, moved things around a bit and added a separate advertise, subscribe and contact button one the top left corner of the blog (the about page is not done yet- promise, I'm on to that as well). That way it will be easier for you to sponsor, follow or contact My Paradissi! What do you think? There are some bits&pieces still missing but I'd love to have some feedback from you! 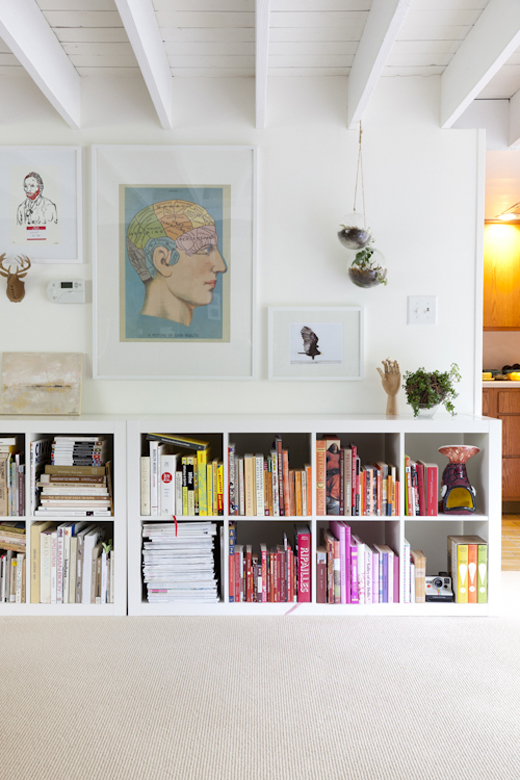 Photo of Kate S.Jordan's place via design sponge. Loving the new design touches to the blog, E! Fun and stylish! Have a top weekend! Reorganizing is on top of my to-do list! But first, I have to travel coming week (always an excuse lol). Kalo sabbatokyriako! I did the same to my blog some days ago.It is nice to organize things, even if it is at your hobby! So glad I stumbled upon your blog...love the clean fresh look, very appropriate for spring cleaning! Can't wait to come back for more gorgeous inspiration! Hey Charlotte, glad you like it! Yes, I designed them myself so it's really good to get the positive feedback!